The very best way to keep water pure and fresh is to bottle your own in glass containers. Better taste, better quality; a great way to entice yourself to drink more water! Aquasana 18 oz. Silicone Sleeve & BPA-Free Cap Rainbow Pack is rated 4.6 out of 5 by 1078. 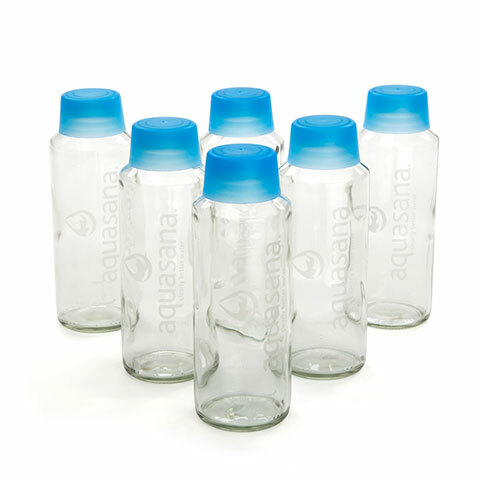 Aquasana 18 oz refillable glass water bottle, package of 6. The very best way to keep water pure and fresh is to bottle your own in glass containers! Better taste, better quality; a great way to entice yourself to drink more water! Rated 5 out of 5 by The Kay from Love them Each person in the family has their own color. My bottle fell out of the car onto the concrete and did not break and it was only because of the silicone sleeve. I love these, this is my second set and I will not live without them. Rated 5 out of 5 by Valrico Girl from Drinking from glass is the best! I have filtered my drinking water for many years now and have been wanting to transition to glass drinking bottles for a long time. I finally found these and absolutely love them. Thanks so much! Rated 5 out of 5 by Toods from Best Bottles! These bottles are so great that we now own 12! We put our filtered water in them and store them in the fridge so they are ready to go and cold! They fit so perfectly in the car cup holder, they are a nice size to fit in a gym bag, or large purse and they are very easy to clean because the mouth of the bottle is not that narrow. From a previous purchase I bought some colored tops and they help differentiate whose bottle is whose when more than one person is drinking from the bottles. One accidentally dropped on our tile floor and didn't even break, so they are made well! These have to be one of the best made bottles around that arre manufactured and highly recommend anyone to buy! Rated 5 out of 5 by Bellesque from GREAT WAY TO HELP THE ENVIRONMENT I bought 6 of these bottles at a terrific price. I'd been unhappy about using plastic bottles and I hate stainless steel. 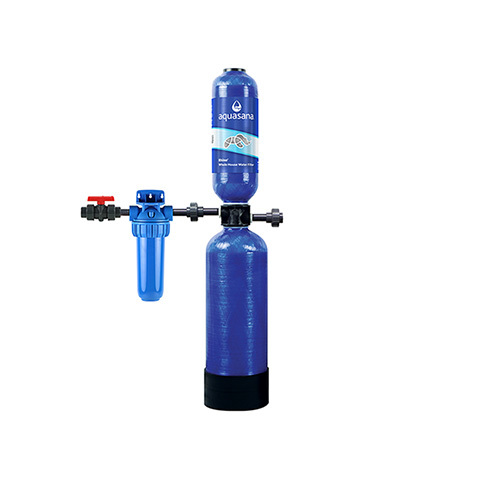 This is a far better alternative and I can fill the bottles from the 18L bottles I order from my local pure spring water company. They are a tad heavier than plastic, but worth it. I use them when I go out. Rated 5 out of 5 by Anna from A must for reducing plastic You’ve saved thousands of water bottles from the trash. These are a great size and very sturdy. Hard to break one! Rated 5 out of 5 by eweser04 from Great to have! I received these a few years ago when I purchased my first Aquasana; frankly, I'm not sure why you are asking for my review now, as I have not purchased them recently. However, I love having these filled with the filtered water in my refrigerator when I need to have some extra filtered water available. Rated 5 out of 5 by k.68 from NICE LOOKING The bottles are heavy-duty. One goes in the fridge to cool and the other stays on the counter to drink. 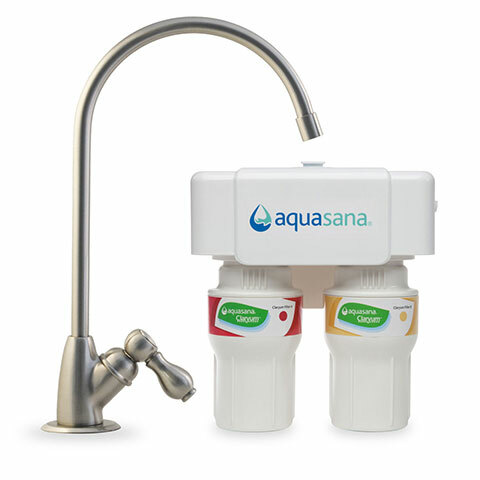 Nicely compliments my Aquasana countertop unit! Rated 5 out of 5 by Tilop from Great Water Bottles Love them, thank you!!!! I find a lot of uses for them. Rated 5 out of 5 by Jazz22 from Love the wide mouth Thick glass that will probably withstand a short drop. Can I order just the caps? I have a six back of bottles and the cap sealing rings have deteriorated over time and would like to replace them. The bottles are easy to open, so as long as they are not over tightened, it should not be a problem. The silicone sleeves are dishwasher safe. 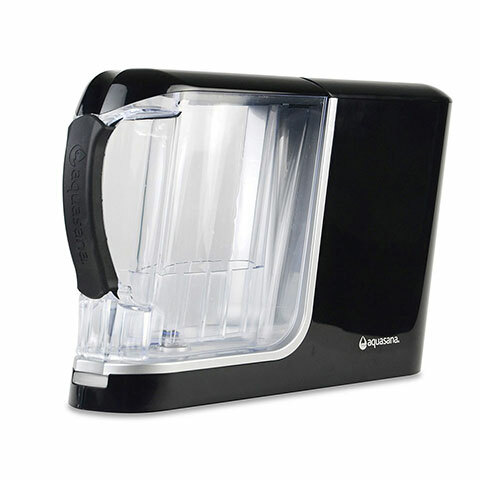 &nbsp;How can I receive the water pitcher for my countertop machine? I just have the container but I would preferred to have a piitcher. The majority of our products are built and assembled here in Haltom City, Texas. Any product that is manufactured overseas is built with machinery that was made in the United States. I bottle cold brew coffee with mine and over time the bottles become rather dirty. What is the best way to clean these? does the blue part become the drinking cup? does the bottle have a cap or closure part without the blue cup? In other words, could I dispose of the blue cup and the bottle would still be able to be closed? Are the lids dishwasher safe? Are the bottles dishwasher safe? 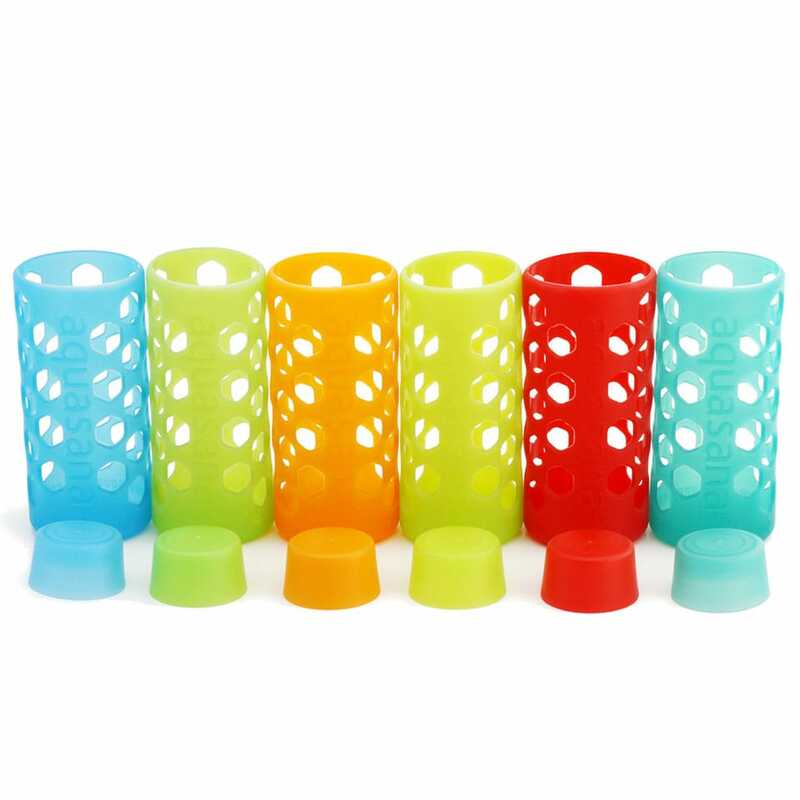 &nbsp;Are the silicone sleeves dishwasher safe?